Hey! Above you’ll find the third installment in the Craft School series! 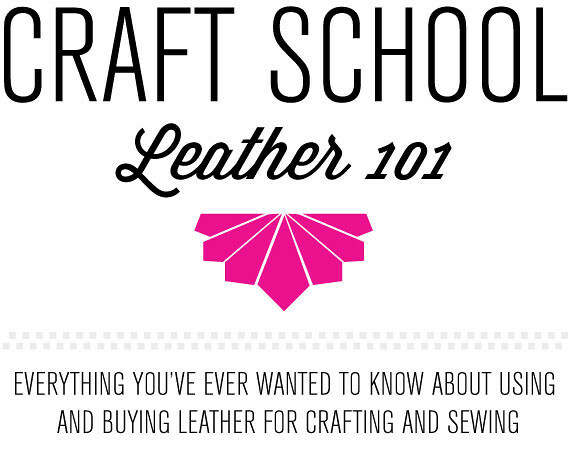 Learn all about leather and how to use it in your crafting and sewing! Unless of course you don’t support using animal products. In that case, um, don’t watch the video. And I love you. And don’t hate me. And now that you know ALL about leather, here are some awesome tutorials that use it! Enjoy your new leather knowledge and let me know how you’re doing! I want to make a no-sew leather pouch. This is happening. As soon as you get back. This is really cool!!! thanks for sharing!! Just discovered your blog via Thanks I Made it, and so in love! This is great inspiration. I am absolutely in love with that leather gift bow. Ah!!! I have all these leather scraps I’ve been meaning to use! Thanks so much for the tips and inspiration! I just stumbled upon your blog and I adore it!